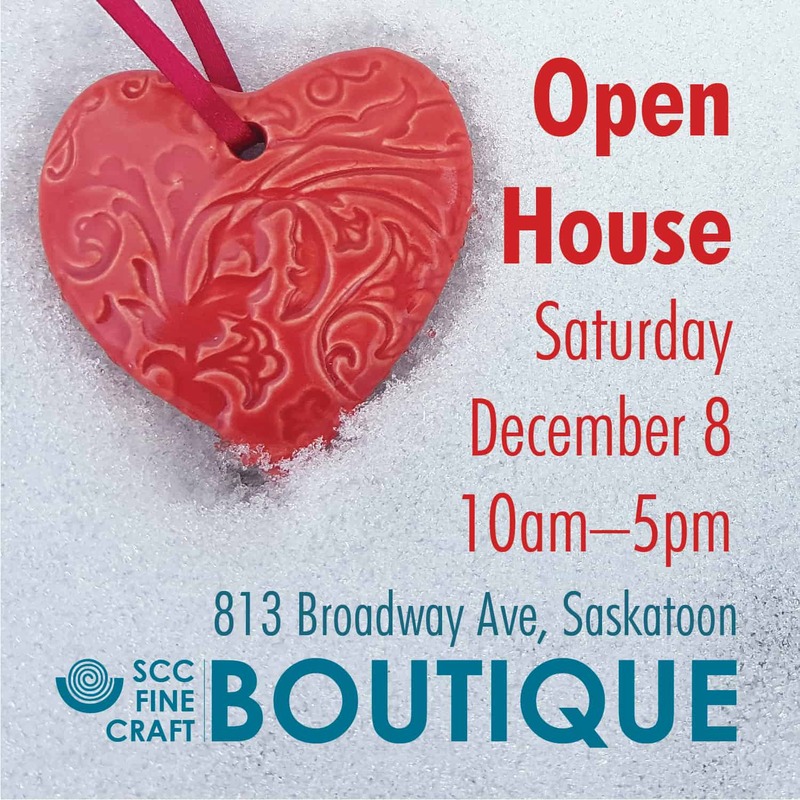 Join us for the SCC Fine Craft Boutique Holiday Open House! SCC Fine Craft Boutique is ready for the holiday season. Select handmade gifts by more than 75 Saskatchewan artisans! Stop by to shop, chat, and nibble. There will be apple cider, snacks, and FREE gift wrapping service for purchasers. 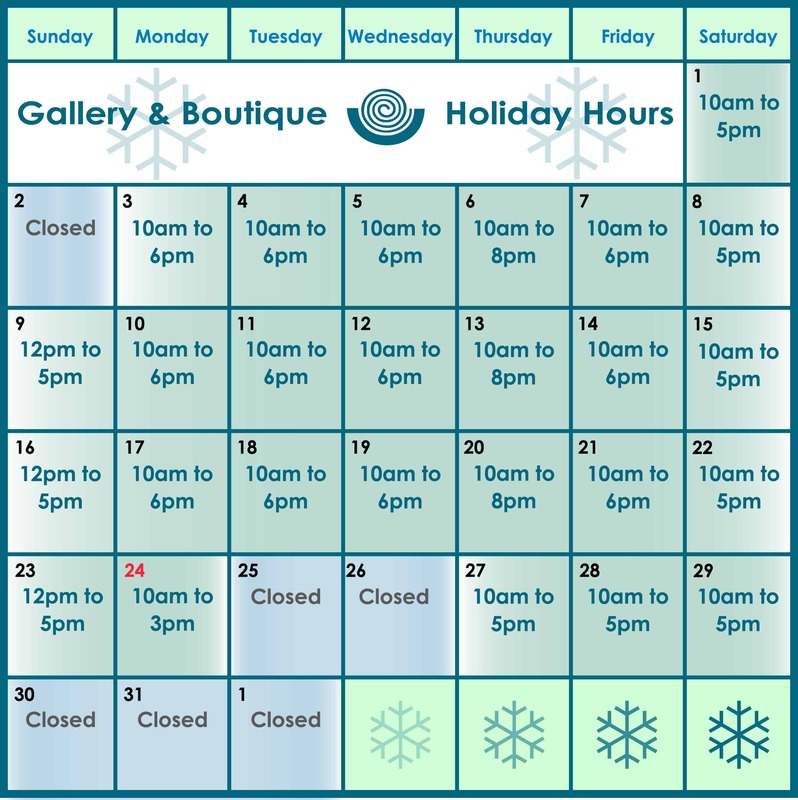 SCC Gallery and Fine Craft Boutique are open extended hours in December for all your holiday shopping needs!